The Easter holidays are at an end and the kids are back at school. Some of the children in their school have used the opportunity to travel abroad. I have been thinking about how nice it would be to go to Pakistan and see extended family. The reality is that the cost is prohibitive and it is unlikely we will be able to go on such an expensive trip any time soon. We are on quite a strict budget but we try to plan one or two small holidays somewhere in the UK during the year. So far we have been to Scotland, the Lake District, the Dorset coast and Cornwall. We save money by trying to stay with people we know or finding a no-frills hotel, taking our own food because outside big cities it can be harder to find halal and looking for lots of free or discounted activities when we get there. Our treks around Britain are a long way from my own childhood where holidays were spent at home or every few years meant a few weeks in Pakistan where we were immersed in the language, culture and customs of the country enough to carry them into our adult lives. We often travelled mid-term or whenever our parents felt the urge to go home, or if there was a big occasion like a family wedding. Often this was in February or March when the weather was fairly good in Pakistan. Things seem very different now. Schools are very, very strict about children taking time off during term time in our area as it is one of the areas with a lot of children waiting for school places. My children’s school will not permit children to take time off even if a relative is sick abroad unless in extreme circumstances. If parents do make the choice to take their children away they are likely to lose their child’s school place and be fined for each child. They then have to go through the process of re-applying through the Council and may end up with multiple small children at multiple primary schools all of which are further than their original school. I have seen a child in my sons class come back from holiday and line up with his class only to be told by the teacher “sorry, but you can’t line up, you have to go to the office”. I felt so sorry for this child, but his parents had known about the schools rules when they took him out. I can understand the schools stance. The head teacher is very ambitious for her children and has reiterated often that the children’s education should take priority over any kind of holiday. A large proportion of the school is made up of children who have extended family in other countries, so a more lax stance would mean massive problems with unauthorised absence rates. This leaves parents with specific windows of time that they can travel with their children – the two weeks of Easter half-term in April, the six-week summer holiday in July/August or the two-week Christmas holidays. The airline operators know this and lovingly almost double their prices at this time (oh the obscene names and curses I have sent their way, I am surprised any of their aeroplanes ever get off the ground with the curses levelled at them). This instantly prices us out of the market for a trip to Pakistan. Return tickets reach almost £700 upwards per person, with children not costing much less. For the cost of our family’s plane tickets, we could put one of children through a year of private school. Even if we did want to spend that much money, we would expect to stay longer than the two weeks of their end of term holidays. As children, we would often stay 5-6 weeks in Lahore, Rawalpindi and our grandparent’s village in Jhelum. Summer gives us a longer period of time, but with temperatures of up to 40-45C (104 – 113F) in Lahore during the summer, it turns into torture. I still have memories of suffering in the unbearable heat as a child and teenager and don’t think I want to go through it ever again. I'm not even sure it’s safe to take small children somewhere that hot where the electricity is currently available a few hours a day at best. This leaves us looking for short, frugal trips around Britain and the possibility of saving up for Umrah (the pilgrimage to Saudi Arabia). These are pleasant and probably a lot easier than a big trip to Pakistan. Except I feel really bad for my children when I think of what they are missing out. My trips to Pakistan as a child really made me understand how privileged we are in the West: the freedom we have as women to leave our homes without judgement or harassment, educations for our children and ourselves, healthcare. We don’t have to constantly think about where our next meal will come from. I recall a trip I made at 18 during my first year at university. I was speaking to a young woman about my age in my grandparents village who was asking about my studies. She told me she wanted to study further, but her parents couldn't afford the cost and she had to get married. It made me realise how fortunate I was. As children we were let loose in Pakistan in a way that we were never allowed at home and which could never happen today. We would leave the house in the morning, round up all the children in the village and spend the day wandering through peoples houses, nearby villages, over fields and off to the nearest mountain. We would spend the day wandering, playing and blagging food and come home in the evening expecting to be told off. No one even asked where we had been. The freedom was exhilarating. At one point a new road was being built beside the village. Someone left great metal barrels of tar by the side of the road. We opened them up to find that the tar had the consistency of black plasticine. It wasn't long before we had all the kids in the village pulling off chunks and trying to make things. The people in the village thought we were very strange children. To be honest, things are no longer that idyllic. The village has been deserted by working aged people and is full of the elderly and children. My grandparents are gone and so the place no longer holds quite the pull it once did. Instead of a series of houses with yards that lead into each others, there are now high walls and big gates around each house as people have come to prioritise their privacy. yet fail to ever read your heart at all. Of course there is a whole enormous country outside of my grandparent’s village. My in-laws live in Lahore which is a city that I have a lot of affection for. The people are known for their friendliness and love of life – great food, beautiful people and lots of partying. 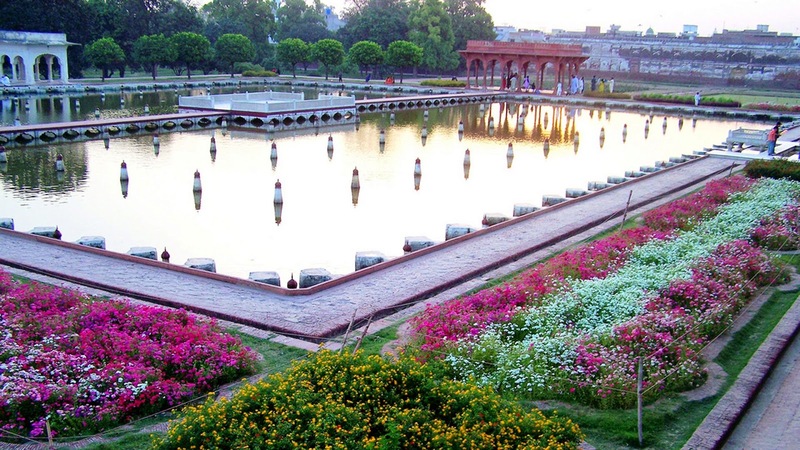 It’s where the rest of Pakistan comes to for fun, but it also has an amazing mughal heritage in its buildings and gardens (my in-laws neighbourhood is called the suburb of gardens because of its proximity to Shalimar Gardens which were pleasure gardens for the mughal princesses). I loved having my husband read the Urdu case stories of Ahmed Yaar Khan, a police inspector in the last days of the Raj, that give a fascinating insight into the interaction between the Muslim and Hindu communities and the British. I hope my children can access some of this if they choose to. Unfortunately not being able to take them to Pakistan very much means that this is going to be more challenging than it would have been otherwise. Their Dad grew up in Pakistan so he is teaching them the alphabet and their grandmother is visiting this summer and has said she will bring some Urdu school books, so at least that is a start. In the meantime I have both of my boys mangling the language much to everyone's entertainment. I can imagine how you feel, but it's great that your family is taking the effort to keep the kids connected to their roots. Probably when they're a little older, you can all take that trip together, insha' Allah. Insh'Allah, I really hope to take them to Lahore one winter in the coming years. I've been telling them to make dua. I think they would love it there. Insha'Allah as the previous comment states. I'm meant to speak the mirpuri language because of my family, heritage etc but it's pretty watered down the way i speak it. I feel bad as I've never mastered mirpuri let alone learning to speak Urdu (as the current wave of our local school children in the villages in ajk are learning and speaking). Being British born and raised, the truth is that I've always counted English as my first language. As an adult, I know for various reasons that I can't learn a new language ie Urdu or speak mirpuri fluently (Not enough brain power). It makes me feel guilty for myself but also for my child. Not being able to pass this on fully. It also makes me question how important this connection to our roots is and especially factoring living in britain. I don't dismiss being multilingual but for me it hasn't worked out. My advice which is a bit obvious, is to start teaching a child a new or second language the sooner we can and be consistent in teaching. Every child is different in ability but with the right support it is more than doable. And you've shown that your serious in passing this knowledge/skill on. Perhaps, instead of pressuring your children with learning Punjabi and local culture, if you could teach them Arabic, it would be far better. By Arabic-teaching, I mean the ability to talk, write and think in Arabic like the holy Prophet and Sahabah did. They would be able to recite the Quran and understand, both at the same time. They would be able to cry while reciting like the Prophet and the Sahabah and even today's Imams of Haramain. Being Muslim should be a higher priority than being a Pakistani -- and it should be so as Pakistan is defined by its boundary, a mere scribbling of some stupid British administrator on a map whereas Islam is something which has always been with you --. You were Muslims in the Aalame Arwaah before this life, you are by Allah's grace Muslims now while many got misguided to Kufr, and you shall remain so in the Hereafter In Sha Allah, in the company of Prophets, Siddiqs, Martyrs and Pious people. Let this faith be more important than even life and death. You are the Yusuf for whom every Misr is Kan'aan, every immigration land is the birthland. Jazakh'Allah for your advice brother and for sharing the beautiful words from Allamah Iqbal. I fully intend to teach my children Arabic as part of their formal education if possible and if not then in addition insh'Allah. Learning Quranic Arabic is certainly something we aspire to.